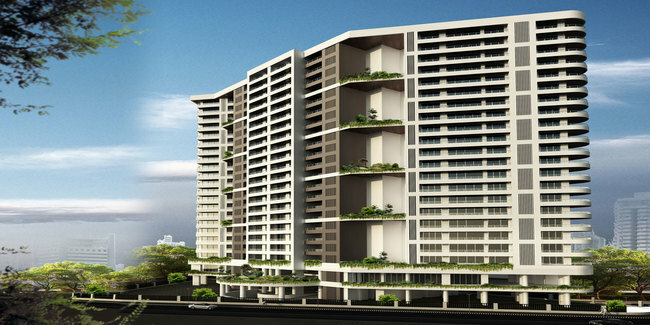 Details: The project is coming up at Bandra Kurla Complex (BKC) in Mumbai. It is spread across 0.87 acre of land. The project offers 1 tower with 19 - 20 storey, it has luxurious 4 & 5 BHK units. The building has 2 sets of cores for lifts and staircases, each serving to 2 apartments per floor only. The amenities include Grand entrance lobby, Landscaped Garden, Swimming Pool with Deck, Multi-purpose Hall, Landscaped Deck, Indoor Games Zone, Virtual Golf, Gymnasium, Basement car parking, Digital security and surveillances system, etc.